The Spaghetti Pot Game is for kids, tweens and teens too. Try this Kids Yoga Game to experience the joy of planning how everything will works out in the end. The beginning of the game is your mind before you write down your plan and create your Vision. The end is your mind after – a beautiful complete circle. Can help build teamwork, cooperation and listening skills. Check out the variations for ways to build leadership skills with this game too. Go over the game with the kids before you start it and agree on the rules of the game before you start playing. No yelling or name calling – even if you are frustrated. Make sure everyone is warmed up too. Ask everyone to hold hands and make a circle standing shoulder to shoulder; that will be the “pot.” Then ask everyone to raise their arms up and stretch up really tall, take a deep breath in and then lower the spaghetti into the pot (Put their arms into the middle of the circle). Invite everyone to shake their bodies and arms (in the centre) like they are spaghetti in a pot of boiling water. It is a nice relaxing exercise that releases tension so keep going for as long as you can depending on the attention span of the kids – anywhere from 30 seconds to a couple of minutes. Begin to untangle the spaghetti to make a circle again while you continue to hold hands. If you have a large group this takes a lot of time, patience, and listening skills. Kids will have to hold hands loosely and sometimes you will finish with kids facing in and some facing out. Can you believe it can always get untangled into a circle? Try it with your group! Then try it again with one of these variations. 1. Choose a Director: Select one child to be the director and encourage the other kids to give the director the chance to untangle everyone first. 2. The One-Minute Director: Give each child One minute to help untangle the spaghetti, then switch to another kid. This gives more kids a chance to direct. 3. Plates of Spaghetti: Get the kids to hold both hands with the same person. As they untangle themselves, each pair will be their own little plate of spaghetti. 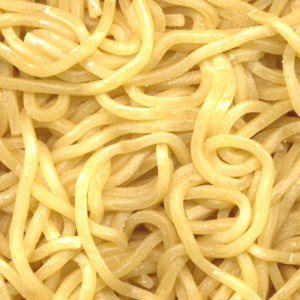 Just like the spaghetti, writing down your marketing plan will help you untangle the chaos. What ‘s your favorite game to play with kids? Do you have a marketing plan for getting new yoga classes? What helped you get new yoga classes? Teaching yoga to children is great if you can fill the classes. 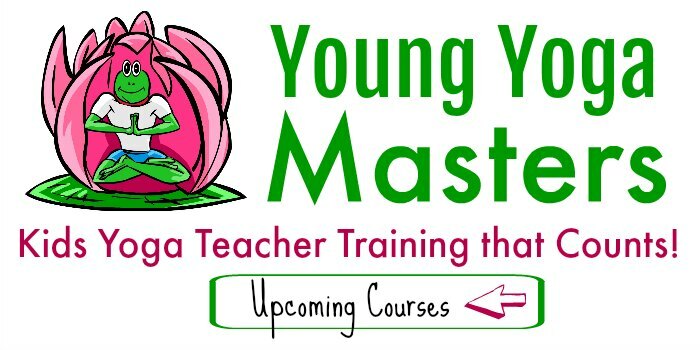 Thanks to everyone who has signed up for the Kids Yoga Teacher Training. The feedback has been very positive and it will be a very inspiring weekend for everyone who wants to teach kids yoga. Space is still available, you can find the details here. Today I have an important tip for your marketing plan and a kids yoga game that really emphasizes why this tip is so important. In my next few posts I’ll look at Marketing yoga classes and some things that have worked for me to get new classes and new students. Personally, I’ve stopped taking new children’s yoga classes to give me time to develop the Kids Yoga Teacher Training Course. It has taken over two years to get the course manuals ready. I can see there is still so much to do: writing, advertising, marketing and all the behind the scenes things that go along with it. You may be in the same situation with your kids yoga classes. It take a lot of time and hard work to become a yoga teacher, now you’ve got to find classes to teach and the people to fill the classes. The work doesn’t stop at graduation – it just begins! So far all the sign-ups for my course are from this blog, which is turning out to be a good way of getting the word out. There are also many other things to do to let people know about the course and reach those who are interested in coming – outside of blog readers. I haven’t actually gotten around to doing any of these yet other than telling people I happen to see. Right now it all feels like a chaotic mess to deal with – but don’t worry – this is how every vision starts out. “Everything we do is at first a Vision and then it is an action. This week I will sit down and make a plan to proceed. I’ll write down: How will I use my time most effectively to get the word out? Who do I want to reach? etc. etc. – also known as a Marketing Plan. Yes! it is simple – but it is the most important step to change that big jumbled mess tangled up in your head into an organized plan that you can actually follow, revise, and remember. I love playing the Name Asana game. With the class in a circle, I say my name and demonstrate an asana. Then the next person then does the same and then the whole class does the new name and asana and repeats the name/asana combinations that follow. By the time you go around the circle, everyone knows each others names and you’ve created a fun and creative flow sequence. I have recently started to teach kids yoga. I am having a lot of fun and really love teaching. I have yet to create a marketing plan, but think it is an important step. Not teaching kids at the moment, except my toddler. And for some reason, she likes to crawl right underneath me when I do Down Dog, and she thinks anytime I’m in plank, that is her opportunity to play horse! I use craigslist and a local event calendar to market my yoga that I teach at my church.